The colony of Herons on the Van Damme pond at the Harchies Marsh, one of the largest in the Walloon Region, is very attractive for other fish-catching species. First it led to the installation of the main colony of Great Cormorants in the Walloon Region. Now, it has led to summer, then winter, visits of the Little Egret, and finally the nesting of two pairs in 2006 and since. The Night Heron, which is more secretive, came back as a nester in 2006 (at least one pair), after being absent for 25 years. The manner in which the Little Egret was installed seems to indicate that it is not temporary, but one cannot be so sure for the Night Heron. 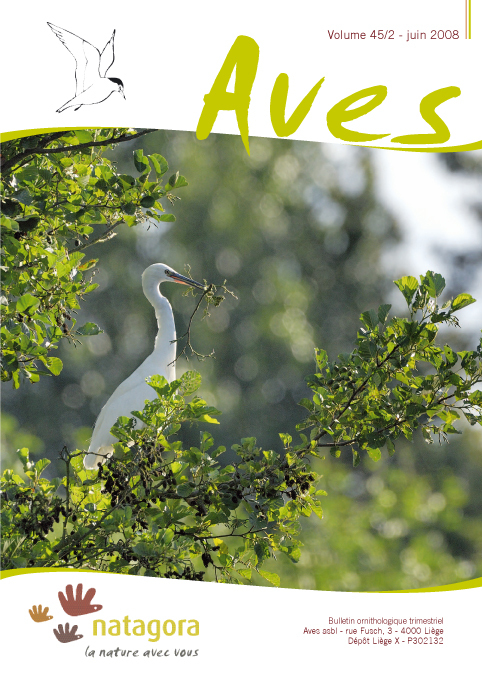 As well as the size of the heronry, the nests are protected by the high water level in the wooded area during the nesting period and the inaccessibility of that zone to the public, factors which also probably explain the attraction of this site for other species. It is possible that the Cattle Egret, Great White Egret, and Spoonbill could also nest there.